As a number of former senior Israeli officials pointed out in the course of Operation Protective Edge, Jerusalem had only two possible strategic options to choose from as it entered this fight. The first involved seeking to inflict serious damage on Hamas's military capabilities in an operation limited in scope. The goal of such a course of action would be to achieve deterrence against Hamas. Implicit in this option is that, at its conclusion, the Hamas authority in Gaza would still be in existence — chastened, but alive. The second, more ambitious option would have been to have pushed on into the Gaza Strip, and to have destroyed the Hamas authority there. This would have resembled Operation Defensive Shield in 2002. Israeli forces would have needed to remain in Gaza for months, or years, in order to suppress and destroy the continued guerrilla resistance which Hamas and other Palestinian groups would no doubt have undertaken. This second option would also have required Israel to re-establish the civil administration in Gaza, taking responsibility for the lives of the 1.8 million residents of the Strip. This is because it would be politically impossible for the Ramallah Palestinian Authority to receive the Gaza Strip on a silver platter, as it were, from the Golani Brigade and its sister units of the Israel Defense Forces. It is also likely that the insurgency which would have followed the destruction of Hamas rule would have proven a magnet for the jihadi forces which are currently proliferating in the neighborhood. ISIS and similar organizations are already in the Gaza Strip in small numbers. But the "global jihad" would like nothing more than to find a platform from which to begin war against the Jews. Given all this, it is not surprising that Prime Minister Benjamin Netanyahu appears to have chosen the first option. Netanyahu, in stark contrast to his image in Europe and to a lesser extent in North America, is deeply cautious when it comes to the use of military force. Indeed, the record shows that Israel elected to begin a ground campaign on July 18th only when it became clear from its actions and its statements that Hamas was not interested in a return to the status quo ante. This caution does not come from a temperamental inability to manage military action. Indeed, the Israeli prime minister's performance in recent weeks may go some way to dispelling the image which his opponents have sought to disseminate in Israel in recent years. 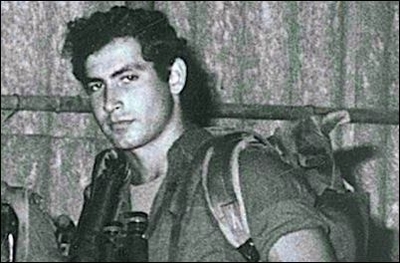 That is, Netanyahu is a man who buckles under pressure and is easily swayed from his course. This is the first time that one of Israel's longest-serving prime ministers has led the country in a military confrontation. The general sense in Israel is that his performance as a leader has been relatively effective — setting clear and limited goals and pursuing them with vigor. Netanyahu's caution derives, rather, from his perception that what Israel calls "wars" or "operations" are really only episodes in a long war in which the country is engaged against those who seek its destruction. In the present phase, these forces are gathered largely under the banner of radical Islam, though this was not always so. In such a conflict, what matters is not a quick and crushing perception of victory. Indeed, the search for a knockout, a final decision in this or that operation , given the underlying realities, is likely to end in overstretch, error and non-achievement. What matters is the ability to endure, conserve one's forces — military and societal — and to work away on wearing down the enemy's will. Military achievement, as well as economic and societal success, are all weapons in this war. This view notes the essentially implacable nature of the core Arab and Muslim hostility to Israel. So it includes an inbuilt skepticism toward the possibility of historic reconciliation and final-status peace accords. At the same time, this view does not rule out alliances of convenience with regional powers. As Netanyahu's recent speeches have indicated, the Israeli prime minister is deeply aware that the immediate interests of Egypt and Saudi Arabia are largely coterminous with those of Israel. All three countries are hostile to the Muslim Brotherhood and to the ambitions of Iran and its allies. All three are deeply dismayed at the current U.S. administration's softness toward and accommodation of these forces. It is an alliance of the coldest, most pragmatic and most hard-headed type. Precisely for this reason, it works. Egyptian President Sisi is locked in a war of death against the Muslim Brotherhood at home and sees the Hamas enclave in Gaza as an extension of his domestic opponents. The speech given by Saudi King Abdullah this week also held Hamas responsible for the current situation. So for now, Israel is redeploying its forces outside Gaza, with the option and possibility of strikes back inside if a renewed ceasefire continues to prove elusive. The IDF will continue to maintain the pressure on Hamas, even as the rulers of Gaza participate in ceasefire negotiations managed by Sisi in Cairo. There are reports of Israel establishing a de facto buffer zone inside the Gaza Strip, to reduce the ability of Hamas to fire short-range rockets at southern Israeli communities. All this forms part of an effort to undertake the containment and incremental weakening of the Islamist entity in Gaza, in cooperation with whoever, for his own reasons, is willing to cooperate. Netanyahu's vision is a chilly one, though it is not ultimately pessimistic. It aims to provide firm, durable walls for the house that the Jews of Israel have constructed. Within those walls the energies of Israeli Jews will ensure success — provided that the walls can be kept secure, thus believes the Israeli prime minister. It is from the point of view of this broader strategic picture that the current actions of Israel need to be understood. Operation Protective Edge — like Cast Lead and Orchard and Lebanon 2006 and the others — is intended as a single action in a long and unfinished war.